The 2016 Maui County Council calendar is now available. 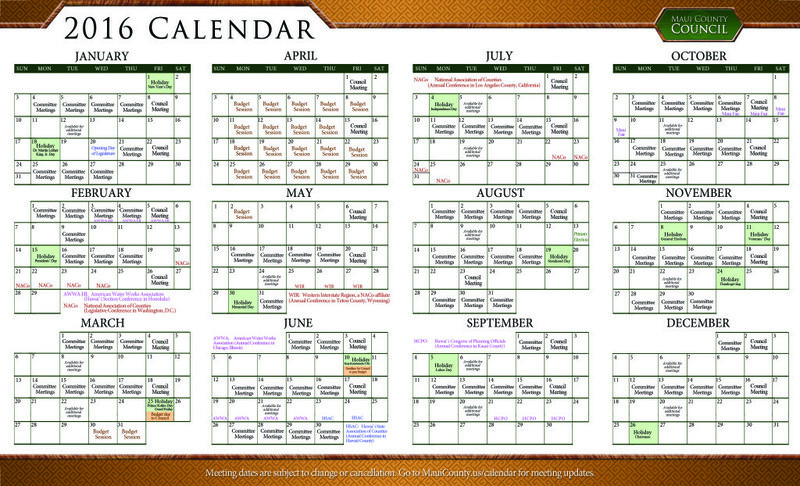 The calendar includes councilmember contact information and tentative meeting dates. 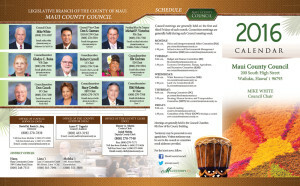 Holidays and conferences generally attended by county officials are also marked. Primary and general election dates are also noted. 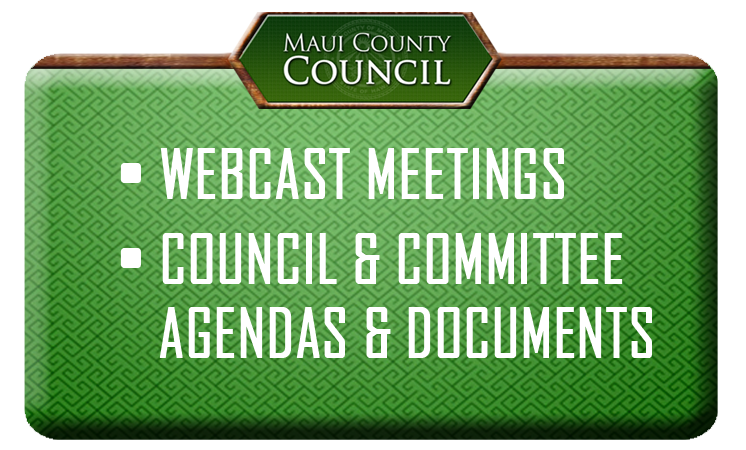 Hard copies of the calendar will be available in the new year at the Office of Council Services, 7th floor of the County Building in Wailuku.